Ministry of Fisheries and Agriculture has announced to extend the previous 12 nautical mile moratorium within 7 regions to all the atolls in the Maldives. The government has also announced its commitment to extend the moratorium to a possible ban of shark fisheries in the Maldives. This has proved to be a remarkable step by the current government despite the previous government’s reluctance to act on the issue. As noted by a lot of divers and environmentalists, the reef sharks have been overfished in the Maldives and the status of the Oceanic sharks are unknown in the Maldivian waters. Adding to it, there is a global concern of depleting shark stocks and a precautionary approach has to be adopted to tackle the problem. Maldives obtain the benefits of sharks from its existence value, i.e. tourism and from the knowledge and the perceptions of locals and foreigners that sharks do exist in Maldivian waters and it is not been overfished. The benefits could also be redeemed through its non-existing value or through fishing, processing and exporting it. Since the Maldivians do not consume shark and shark products, it is solely exported. However, it should be noted that the main product has been shark fins and shark oil and the meat is mostly thrown away. This has been the main concern of environmentalists about the inhumane treatments for sharks. From the research conducted by researchers in the field, shows that the existing value of sharks in the Maldives is much higher than when it has been fished. Hence, economically it is more feasible for the general population who is the resource owner of it, to redeem the benefits from its existing value. However, these benefits could only be encapsulated if the existing value is internalized through taxes, royalties, payment procedures etc. At this point, it should be noted that the livelihoods of the fishermen would be heavily affected from such a ban and we should not neglect them even though the ban is for the betterment of our future. Luckily the Maldivian shark fisheries is seasonal and the fishermen tend to find alternative employment during low-fishing seasons. So it might be easier for the government to facilitate alternative employment for the fishermen. The current moratorium is just the beginning of the work to climb up the hill. There should be more research, time frame to achieve the targets, monitoring mechanisms etc..
A lot of debate and protests have been ongoing about the extension of the lease of resorts from 25-35 years to 50 years. Even some parliamentarians are thinking to extend the lease agreement up to a limit of 99 years or more. I thought I would briefly comment on the arguments proposed by the current government on the reasons for the change! The current coalition government has the control of the parliament until the next general elections which is scheduled for February of next year. The current government is now accused of speeding up all the bills which are necessary for their own personal gains rather than the benefits of the general public. The resort extension follows the same path. Firstly, the only asset that we have in the Maldives and our whole economy is NATURAL RESOURCES! The whole economic development in the Maldives is based selling these natural resources. To be precise it is based on fishing and tourism. But we have to note in any case, natural resources are limited and in some point or the other it would deplete and we would not be able to enjoy the benefits for prolong. So, if we want to sell these natural resources or 800 or so islands to the rich and wealthy businessmen for 50 years, would be we able to enjoy the maximum benefits from it? It doesn’t make sense at all! When we ask to increase resort lease extension to 50 years, it has to be backed with necessary figures. For example, what would be the forecasted demand patterns for the period and how much would we be able to accumulate as resource rent based on inflation rates, interest rates, etc. Tourism forecasting is quite difficult, but could derive an approximate figure, which we could justify whether it is feasible for us to give away for 50 years. These decisions should be based on not only on investors but including social costs and benefits as well. Ultimately the revenues generated by the industry are spent to improve the social condition of the citizens of Maldives. 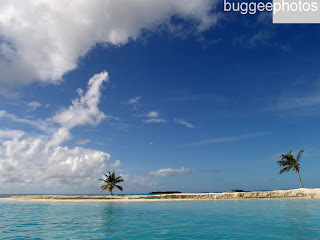 The resort owners now say that everyone in Maldives cannot be resort owners. So the people who are resort owners should be able to sustain their investment! Yes! It’s true. Everyone cannot be resort owners. But wasn’t lolly Jabir, once a normal citizen like us selling lollypops. No one knows what would happen in the future. 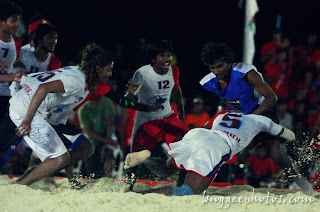 Everyone in the Maldives should have a fair and equal opportunity to compete. The main argument proposed the resort owners is the unavailability of funds from banks. It is truly misleading comment by them. The whole world economy is currently in a huge recession and economists fear that the worst is yet to come. Hence, the banks would be reluctant to give loans and funds to any company whether their lease period is 50 years or even 99 years. Let’s look for typical a Maldivian businessman who owns resorts. These resort owners would have 2 resorts that’s been operating and four or five in construction! How would they be able to gain funds for these four or five resorts at the same time! And these resort owners would not just borrow funds for their business in resorts, but for all their other business as well. The banks might be willing to give the loans to the businessman for a limited time, but after sometime these resort owners would be again asking for an extension. A four star resort sells their beds at a rate of 300 – 400 dollars per night and the general public or the government gets only 8 dollars per bed irrespective of their price. Even if the bed is sold at 10,000 dollars, the government would only get 8 dollars? People like us are suffering from the bad practices that’s been utilized by the businessmen in the Maldives. It’s not we who have to surrender all our lands for the benefits of the politicians and the rich and wealthy businessmen. I supported the views of the current president during his election speeches to cut down government spending and to minimize the income inequalities among the population of Maldives. But now, I am really disappointed of his actions! The huge debates in the Majlis just proved the greedy and selfish parliamentarians. They never want to do any good for the normal citizens, instead they would want to get as much money they could to fulfill their own pockets! I thought to do some research based on the Gross Domestic Product of some of the wealthier countries and the head of the state. The GDP are based on the figures released by International Monetary Fund for year 2007. The figures just speak for itself. Our GDP values are way too lower than India or even Bangladesh. But the salaries we pay for the highest post are way too high for our economy to handle. It’s just based on the ad-hoc thinking by the parliamentarians. I remember one member saying, that the figure was derived at a lower rate, but they thought to make it more appealing and nice. It is not just the parliamentarian’s money to do whatever they want. From what the parliamentarians discussed in the treasury committee in the parliament, I just feel that they never discuss about the economic issues with any economists or even government officials, whether a luxurious figure of 7,782 dollars per month could be paid for the president based on the current economic recession . The alliance of MDP has the control in the parliament at the moment. Anything that the president wishes could easily be passed in the parliament. I am sure the parliamentarians would meet before hand and come up with a figure before it was passed in the parliament. The parliament has become the best circus of the century. Maybe it’s because we don’t have a circus in Maldives, the parliamentarians thought it might be fun to do so. The income disparity is so immense in Maldives. Now I wish I could have just stayed back in UK and worked back there. After I completed my masters, I am now receiving a monthly salary of US $346 (MRF 4450/-) and with allowances I would be able to get MRF 6230 or 486 US dollars per month. I know the consequences of an increased salary and I am not just saying to increase the public service salary either. I just wanted to mention to reduce the income disparities in the country and the value of 2.1 Million rufiyya per year on the two key posts of Maldives is way too much for our economy to handle! 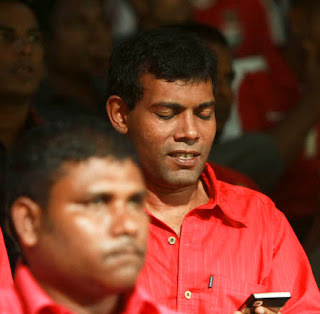 We voted Mohammed Nasheed to make good changes in our life and now it doesn’t seem so. The first thing he did was to bring more cash in to his pocket. Well, he wouldn’t mind of a global recession while he gets Rf 2 per minute in his pocket. Will he? Wow! I just listened to Ibra’s education policy on DhiFM 95.2. I must say he is a real good speaker. The adherence in his words, the examples he showed is simply mesmerizing. He did not put something special in his educational policy; he just put the bits n bots where the current government have failed. It showed his brilliance and understanding in the education sector. Some of the positive points he focussed should be highlighted because of its importance and I really cheer him for that. The part where he said he would try to incorporate foreign languages in to our education system including Arabic is something we need desperately. In an era prompting for globalisation, the need for it is immense. The need to function an independent valuation body for the education sector is another point which should be highly applauded. However, I don’t strongly support his philosophy of giving the whole authority of the valuation process to the parents. But it’s just my view. He also pressed the need for increasing teacher’s salary and more higher educational opportunities for them. I agree to this one to some extent. I don’t think anyone maintains this statistic in the government. But for sure, most of the scholarships offered by the government are still allocated for teachers. I strongly disagree with his point of view of abolishing the awarding process for top schools. The current process gives an extra motivation for the students who want to achieve more and who wanted to learn more! I guess everyone at the moment have equal chances as they are judged by the 8 subjects they are taught in school. However, his long speech which lasted for more than half an hour was well structured and he also said he would challenge all the other educational policies in a debate. So that’s something to look out for! Well, another party! Another day in the political arena in the Maldives and the build up for the elections 2008 is getting much more unpredictable! Imagine, for a population of around 300,000 we have 10 and I reiterate, 10 political parties. Wow! For god’s sake! This is too much of our resources wasted on politics! One funny thing I notice is none of the political parties aims to bring peace and harmony to the Maldivians and to provide a better life. Their main target is to get rid of Maumoon and that’s it! Anni talked about some aspects including tourism, housing and fisheries in his manifesto and I just could not think of how he could achieve in the time frame he told. He obviously needs to change his thinking so that it could be easily accepted by people rather than us wondering whether it would be empty promises! We still have to wait for others to talk about their manifestos, especially from our current president. Would he opt out from issuing a manifesto like how he has done for the political debate! Let’s wait and see what he does! Back to thought! The public have to fund for the 10 political parties and I can’t see some of them functioning at all! I just can’t believe! Maybe we should start a Maldives Green Party to promote and aware the environmental condition rather than an association or an NGO, because it is more profitable! Easy capital! It’s kind of the easiest way of financing an association of such I guess because you get a yearly capital free of charge! No interest! Its election time in Maldives and the so called ‘politicians’ have started to announce their agendas and manifestos. Since I am living abroad at the moment, I just get all the news from the local media and just could not imagine the differences in how it’s been reported in here and in Maldives. The last policy was announced by Maldivian Democratic Party’s presidency candidate, Nasheed (Anni) for the transport sector. The main outcome of the policy was to connect all the islands from a ferry mechanism. He highlighted that Maldivians are suppressed in their islands and the difficulty in transport in emergencies. The mechanism would be facilitated bydividing the country in to different zones and the zoned islands were announced in the news briefing held in Hulhumale’ ferry terminal. However, this information was not available (not even in MDP website). However, after reading the articles about it in haveeru, miadhu, aafathis and jazeera a lot of questions popped in to my head, like any other Maldivian. The journalists failed to ask key questions or failed to report key factors in the newspapers. First key question is how could it be done? Is government going to start a ferry business separately or would it be run through MTCC? I thought Anni mentioned about privatising all government business and the need for government to pull away from the business sector. By having zone ferries would it still solve the emergency problems, I don’t agree. It might give a little comfort but I don’t believe it’s the complete solution. How could it be financed? If ferry services are to operate, it sure has to be profitable or is government going to subsidise the company like STELCO. The business would be highly risky n volatile with the increase in fuel prices in the world. Would this policy be financed by the public and would they be charged? Finally within how many years would it take to implement such a plan? I don’t support any political party so far, but definitely my vote in the elections would go to a person who has the best mandate to help the people of Maldives and I hope I would get some answers for this in the near future! I just returned back home finishing my studies. I am a quite lazy blogger.. the blog represents my thoughts at that particular time. I love photography and it's just a hobby!